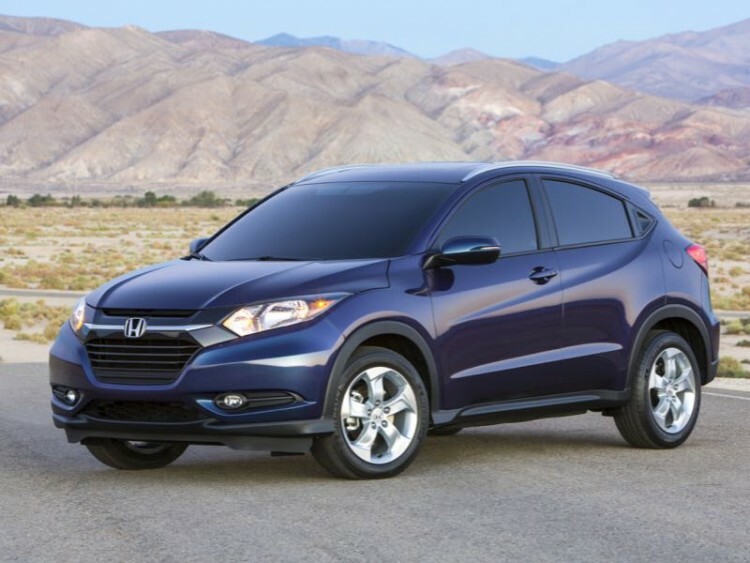 2016 Honda HR-V Proves Good Things Do Come in Small Packages! It looks like Honda has done it again. Without asking permission or begging any pardon, the automaker has brought a vehicle to market that is most likely going to dominate its segment. 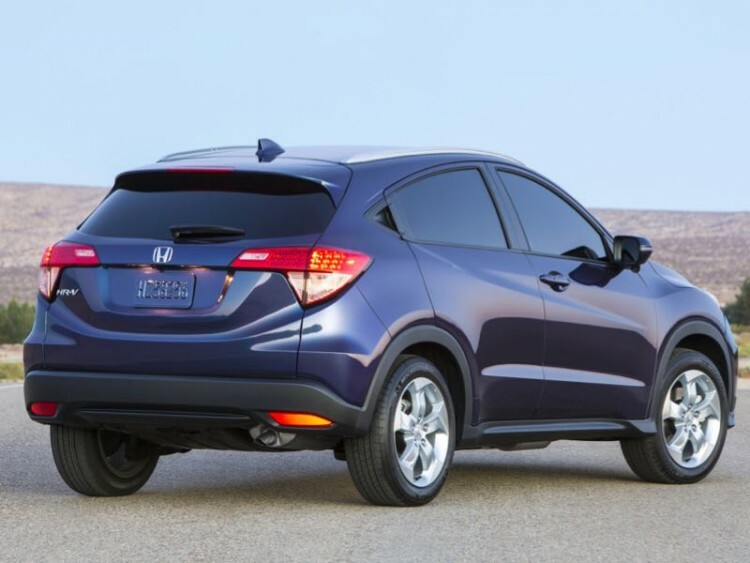 I am speaking of the all-new HR-V compact crossover utility vehicle and I predict that Honda is going to sell a boatload of them. With relatively little fanfare, Honda brought the HR-V to market at almost the same time they were delivering the new version of its flagship SUV, the Honda Pilot. At the opposite end of the scale from its much larger sibling, HR-V arrives on a modified platform that underpins the tiny but popular Fit hatchback and just as soon as fuel prices begin to falter on the market the new HR-V will be unobtainable just as Fit was a couple of years ago. HR-V arrives in front and all-wheel drive formats so buyers gain the benefit of a compact crossover that will tackle foul weather along with urban congestion. 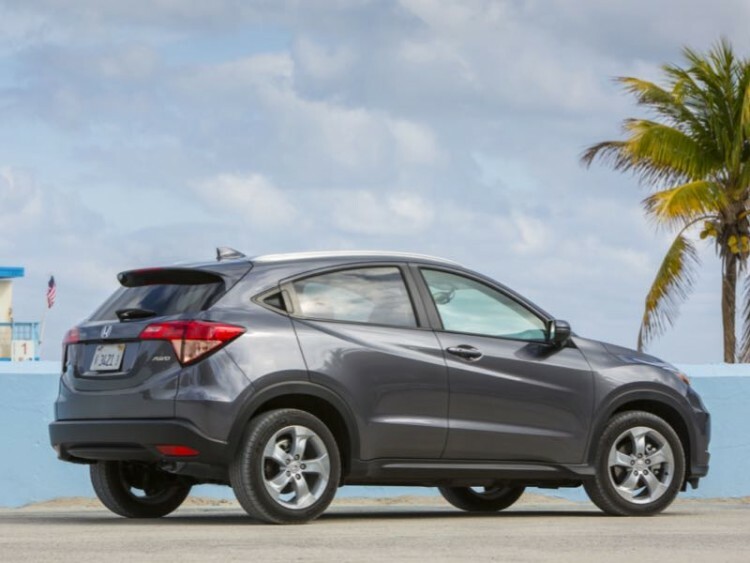 Everything car buyers have come to know and love about Honda is packed – tightly – into its new little CUV. The HR-V is no barnstormer by any means and it is not intended to tackle the Rubicon Trail or a summer vacation in Moab but this little guy (gal) brings some needed personality to the Honda crossover lineup. I have always felt the CR-V was very milquetoast and HR-V adds style and spirit to the mundane. 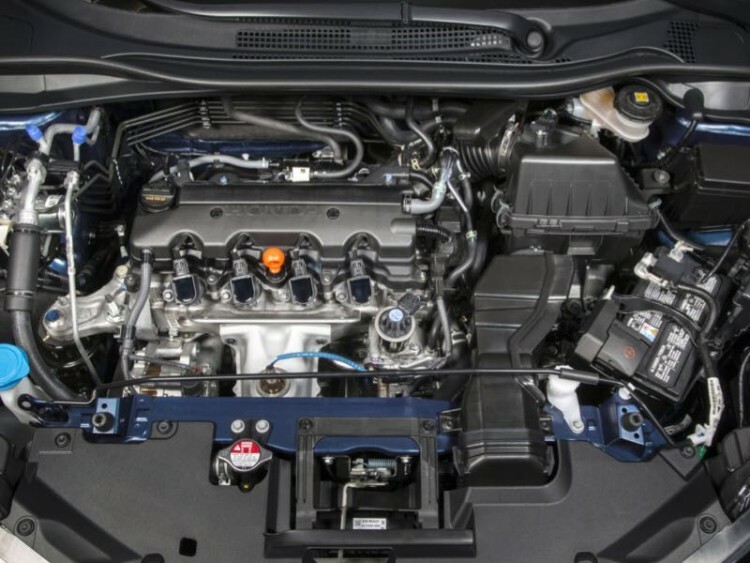 Powering the HR-V is a small but efficient 1.8-liter four-cylinder DOHC i-VTEC engine that generates 141hp and 127 lb. ft. of torque. A six-speed manual gearbox is available on entry model HR-Vs but most will see the yawn-inspiring CVT transmission as our tester arrived with. Honda apparently realizes most consumers are not buying its utility vehicles for their performance figures so there is no need to waste money in the powertrain department but a little turbo variant might be a bit of fun. Let’s just say acceleration is adequate and you can turn up the volume on the radio to drown out the drone of the CVT. While the test model Honda sent over did feature the AWD running gear we did not find much need for it during our week behind the wheel. It’s available if you require it, especially you snow-belt folks, but FWD is more than adequate in the HR-V for most driving conditions. Handling is just fine and the ride is quite stable and when the tachometer is not winding up during acceleration the driving experience is a quiet one. 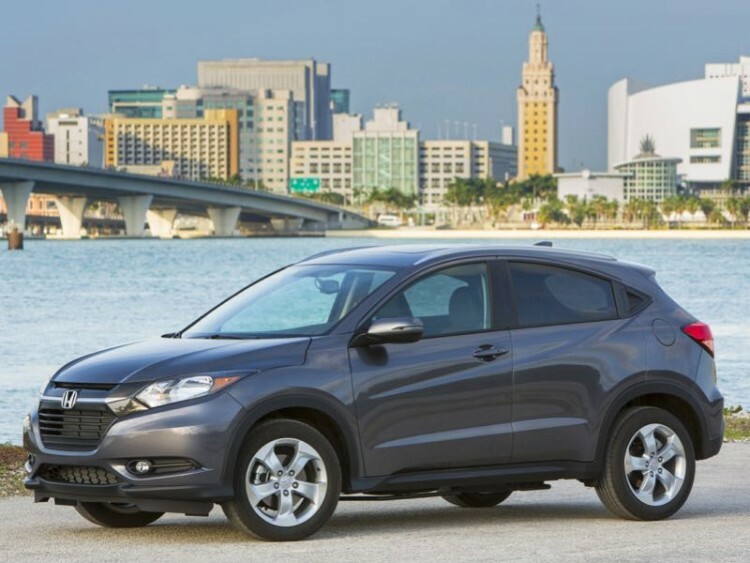 Honda proves it has a sense of humor with the HR-V as it throws in paddle shifters on the steering wheel so drives can feel as if they are in a Formula 1 racer or something. It also proved it found a place to waste some money. Despite it’s tiny footprint the HR-V is loaded with all the latest creature comforts, safety technology, and driver infotainment goodies and this EX-L Navi-equipped tester featured the likes of satellite and HD radio, touch screen monitor with navigation, voice recognition, multi-view rear camera, Bluetooth audio and hands free link, USB interface, SMS text messaging functionality, LaneWatch, and next-generation HondaLink with smartphone apps. As this was a top-of-the-line model the interior was wrapped in leather just about everywhere but the one thing this vehicle lacked was ventilated front seats – sorely missed with the triple digit temps we were experiencing. What the HR-V lacks in performance it more than makes up for in utility for it’s size. 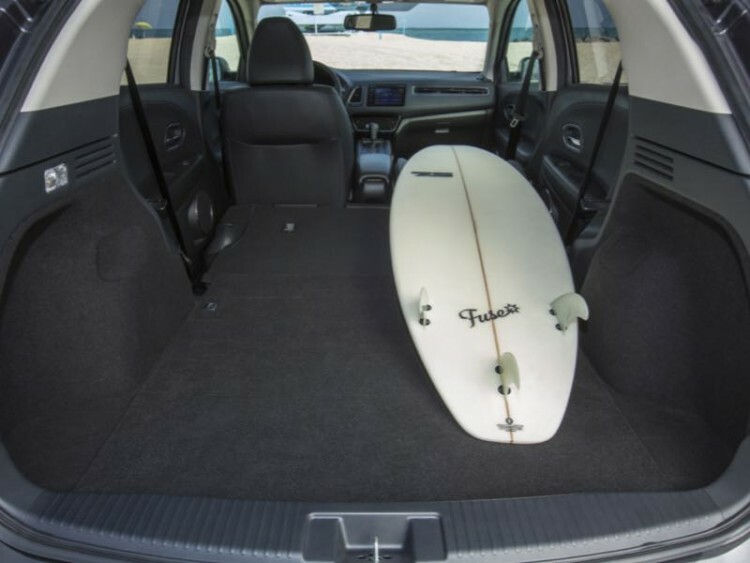 It features the reconfigurable “2nd-Row Magic Seat” that allows for a flat cargo floor in the rear when folded, offering 58.8 cubic feet of cargo space. And once again I cannot rave enough on the exterior styling especially when held up next to the CR-V.
Pricing for the 2016 HR-V starts at just over 19 grand with our loaded AWD EX-L Navi tester arriving with a final sticker of $26,720. EPA ratings for the HR-V are best when equipped with the CVT running 28 mpg city and 35 mpg highway on FWD models and 27/32 respectively for AWD vehicles as ours was. 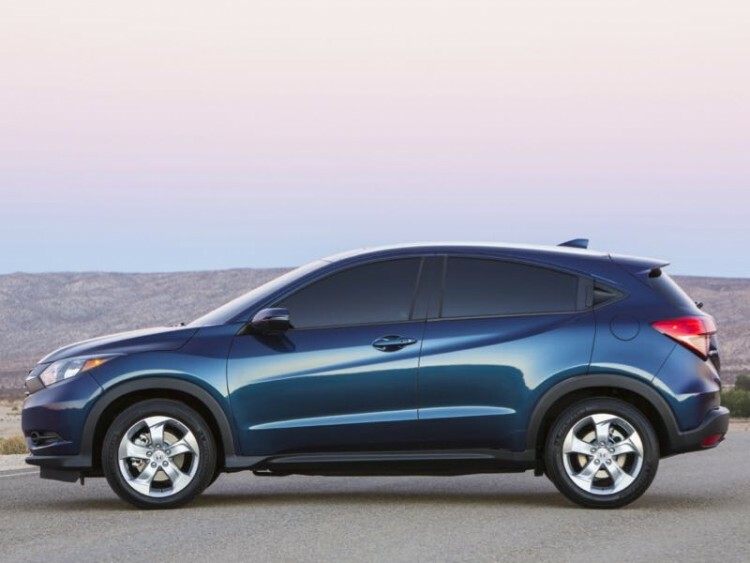 The new HR-V from Honda will be a hit, no doubt, as the automaker has had few flops. My only worry for them is what this will do to CR-V sales, as I believe many buyers will stroll right past the mid-sizer now and only settle for it when they are told HR-V models are sold out.